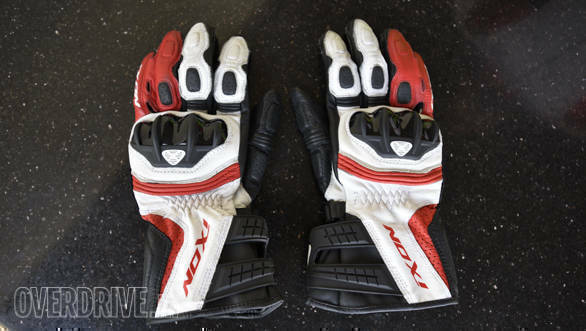 The RS Moto HP gloves are mid range, full gauntlet gloves from Ixon. The gloves are made of high quality goat leather which makes them soft and extremely supple. The plastic used for the knuckle protectors is of a high quality, has smooth edges all round and wears an even sheen. The protectors also feature ventilation at the front with a metal wire mesh inside which makes for optimum cooling for the back of your hands when the fingers are curled around the handlebar grips. The thumb area is perforated as well for added ventilation. 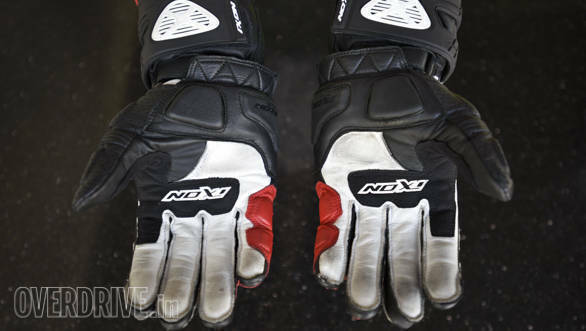 Tactile feel and comfort are two features I'm always looking for in riding gloves and being race gloves these Ixons score high on that front. The leather on the fingers offers lots of feel at the levers, while the suppleness of the leather lets you move your fingers around individually very easily. Insides of the palm feature a padded section as well as a hard plastic protector for the fleshier portion of the palm which should provide good impact resistance in the event of a fall. The little finger also gets a web connecting it to the ring finger, making for additional protection for it. A double velcro fastening system ensures the gloves stay in place. The fit is excellent for me, especially since I'm someone with a larger palm and shorter fingers which makes it difficult to find a well-fitting glove. 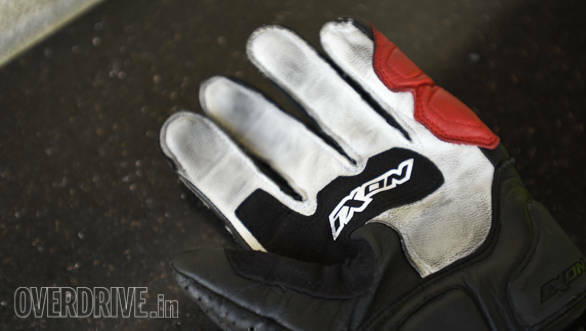 On the whole, the gloves offer good value for money, considering they're priced under Rs 10,000.